There are a ton of places in NY and elsewhere to get great cocktails, many whose recipes were invented in an earlier era. I’ve often wondered what people were eating when these cocktails first arrived on the scene — what were they dining on before/during/after their Sidecars and Old Fashioneds? And, wouldn’t it be fun if restaurants today offered some of those dishes — or, if there was a spot dedicated solely to recreating the menu of the [insert decade here] in its entirely, soup to nuts (literally and figuratively). But how do we know exactly what used to be served in restaurants around town? Enter the NY Public Library, which has a vast archive of original printed menus, some 40,000 from the 1840s to present (most from NY dining spots). 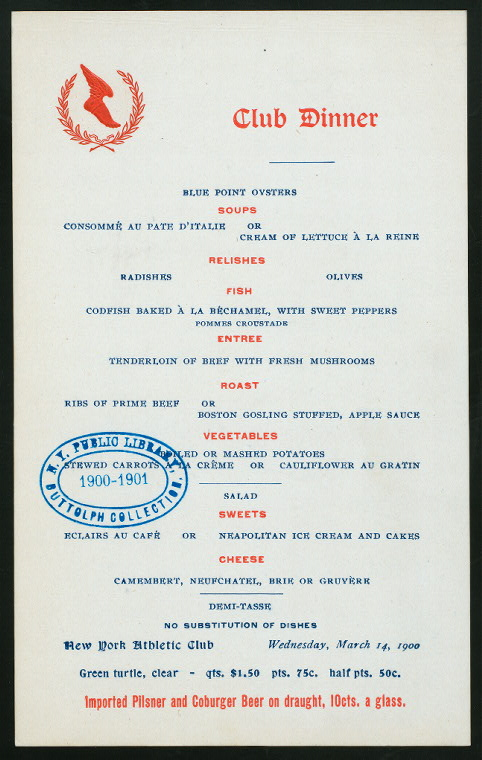 In April 2011, it launched a digital program called “What’s on the Menu?” (you can see it here), and over the past year, almost 900K dishes from 13,500 menus have been transcribed from print to digital by public volunteers — visit http://menus.nypl.org and you too can help out. It’s a mouth-watering look into history. Curious what Delmonico’s (the old one at 26th and 5th) was serving one October evening in 1898? 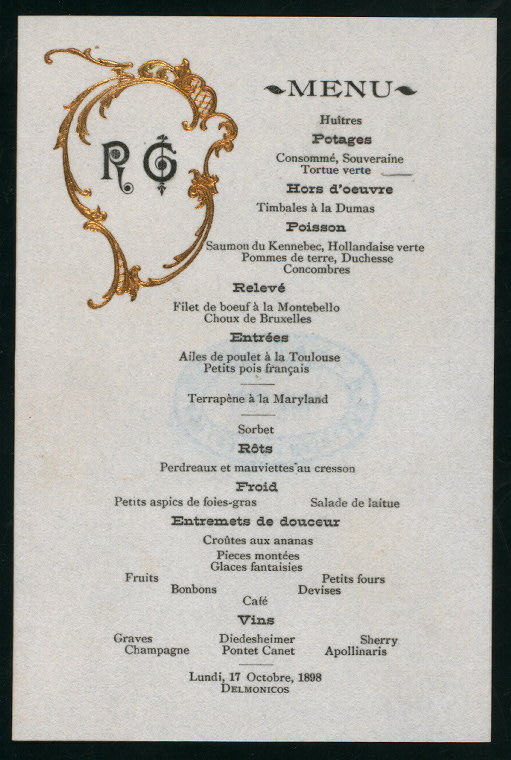 What the NY Athletic Club patrons were offered at the turn of the century? 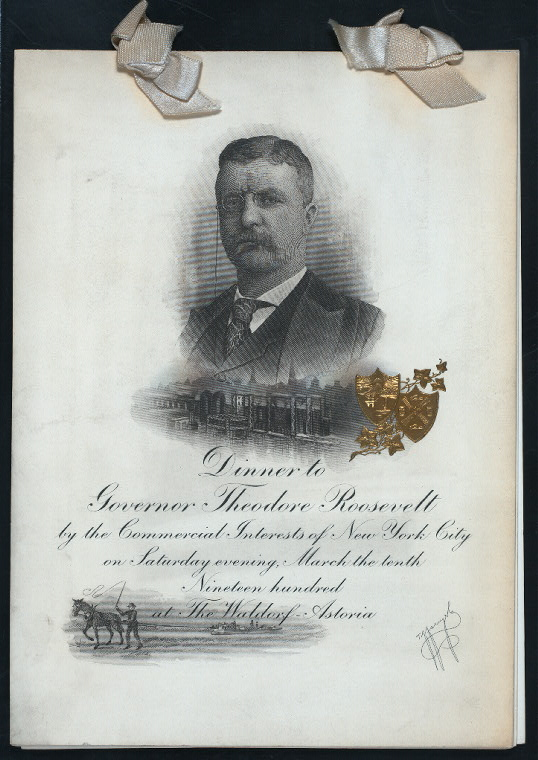 Or that Governor Teddy Roosevelt had a dinner in his honor on Saturday, March 11, 1900 at the Waldorf Astoria?